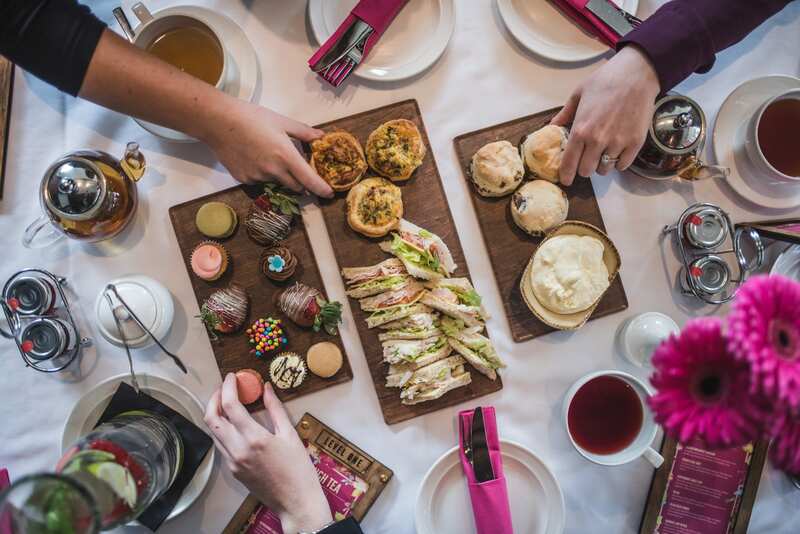 Traditional High Tea is the highlight of Sundays on Level One, and is available from 1.00pm. 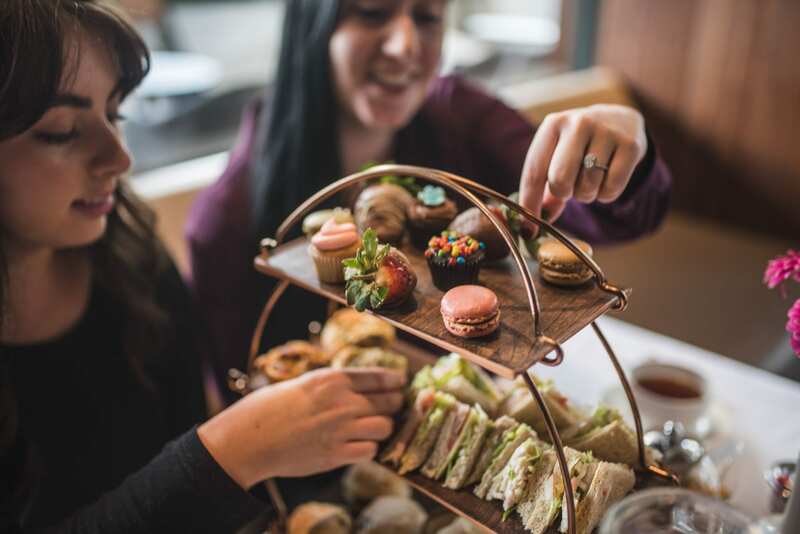 Enjoy a delightful array of assorted sandwiches, petit fours, pastries, chocolate strawberries and scones with cream and preserves. Served with your choice of tea from our premium selections. High Tea is available in four forms - Standard (tea only), Bubby (includes a glass of Seppelt Fleur De Lys), Cocktail (includes an exclusive or classic cocktail), or French (includes a glass of Veuve Clicquot Yellow Label Brut). Please let us know if you have dietary requirements and we will do our best to cater for them. High Cheese is the latest addition to Level One, and is perfect for any lover of all things cheese. High Cheese features an arrangement of Australian cheeses including Yarra Valley salted honey cow milk, King Island smoked cheddar, President Brie and a vintage red Leicester. Accompanying the selection is a showcase of sweet and savoury cheese canapés sure to be devoured as well as a grazing board to compliment the cheese selection. High Cheese is available in three forms - Standard (with no beverage included), Australian High Cheese (includes a glass of Australian red or white wine), or French High Cheese (includes a glass of Veuve Clicquot Yellow Label Brut). Unfortunately due to the items that are served with High Cheese, we are unable to accommodate for gluten free and dairy free options. Please still feel free to attend and order from our regular menu that caters for these options. 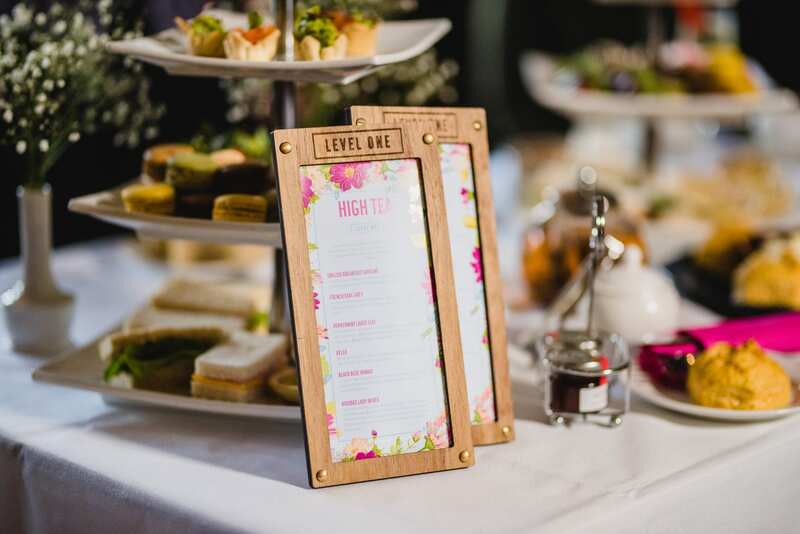 Interested in holding a High Tea or High Cheese function for a special celebration? Contact our friendly events team on 02 9485 3222. Bookings essential. 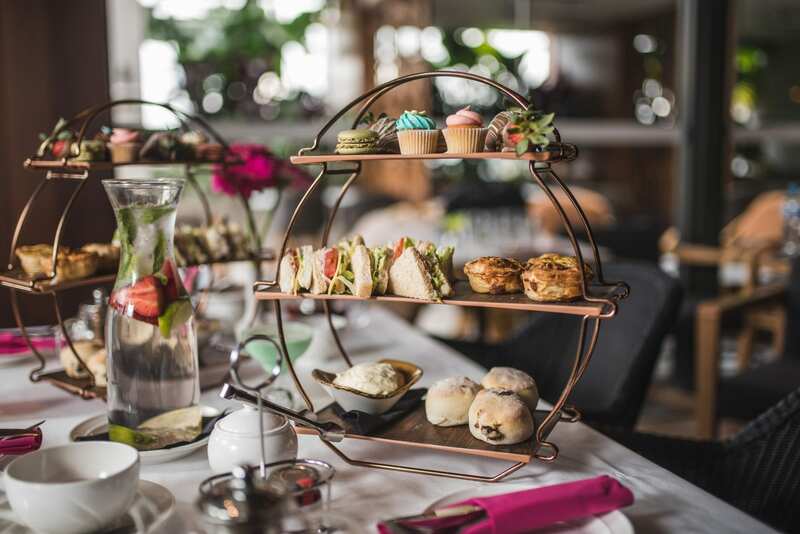 Please note High Tea bookings close on the Thursday afternoon prior to the Sunday date/booking.